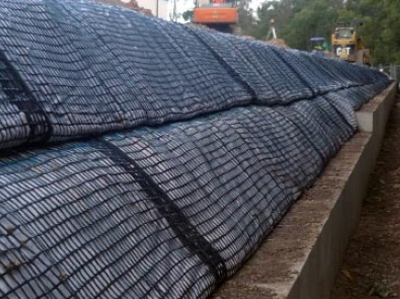 In applications of soil reinforcement and the use of geogrids in engineering structures such as slope stabilisation and segmental block retaining wall construction the geogrid to be used will be subject to constant load over long periods of time. The load will be exerted in one direction only i.e. 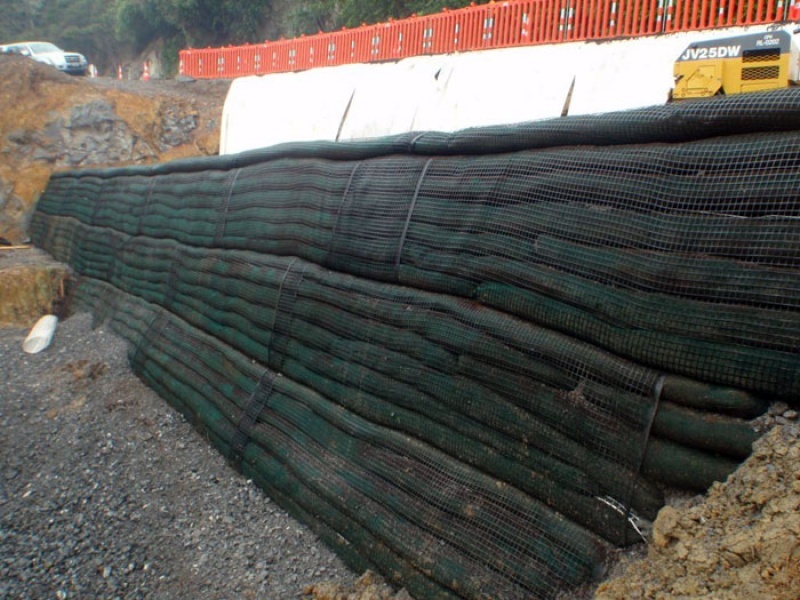 at a normal direction to the structure face direction. 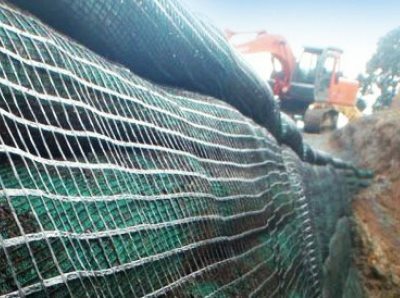 Global Synthetics are able to offer ACEGrid® which is a uniaxial, polyester geogrid in a range of strengths appropriate to this market segment and ensuring that the design strength of the geogrid may be maintained over very long periods of time (may be 100 years). 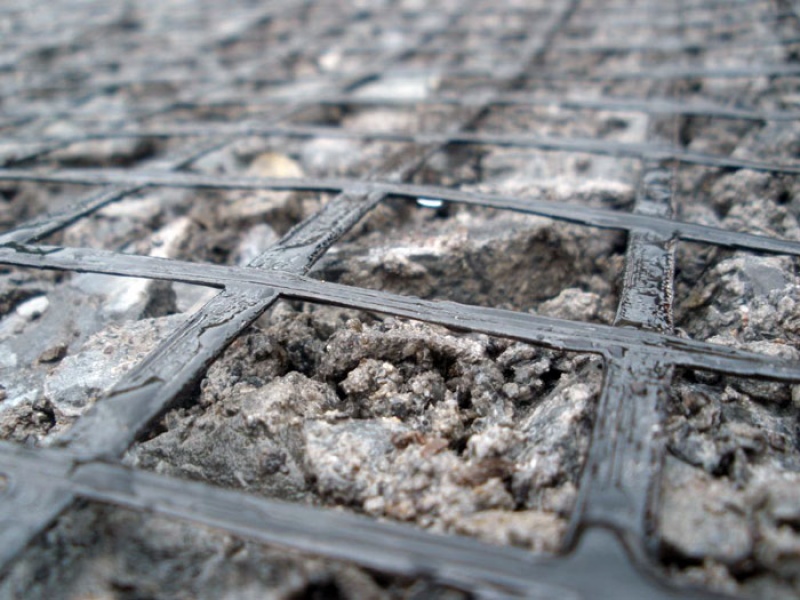 ACEGrid® has been exhaustively tested and used in a wide variety of soil reinforced structures throughout the world. 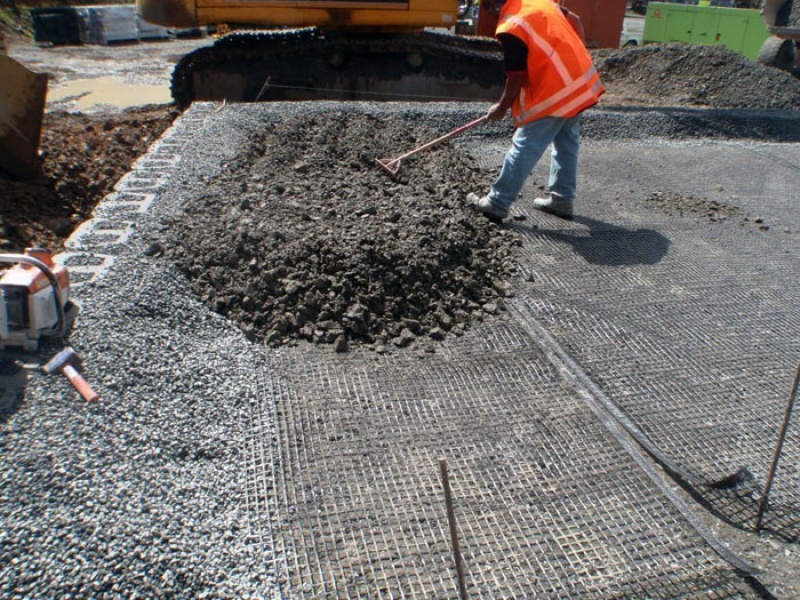 Specifically ACEGrid® has been used in a significant number of structures throughout Australasia. 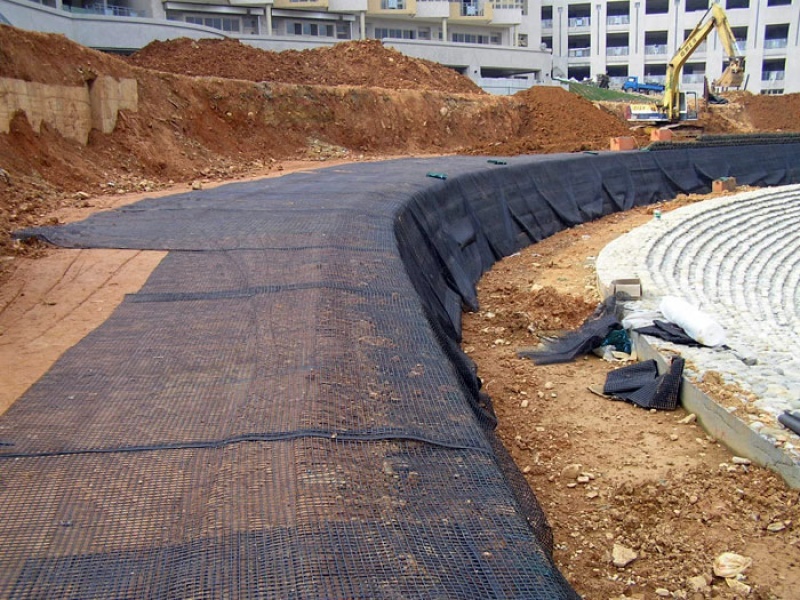 ACEGrid® is very easy to install and is available in wide width rolls to minimise wastage during installation. 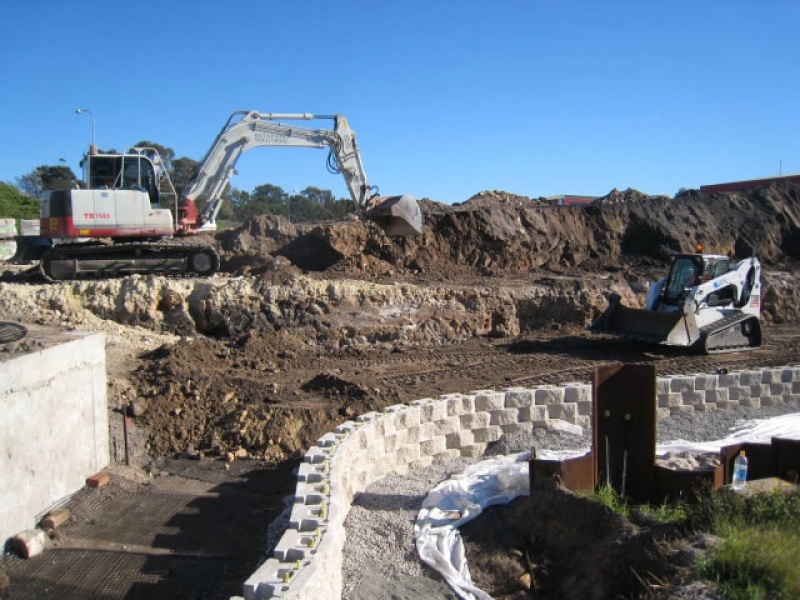 In 2011, the Toyota Forklift site at Larapinta was to be raised and leveled as part of the site development. 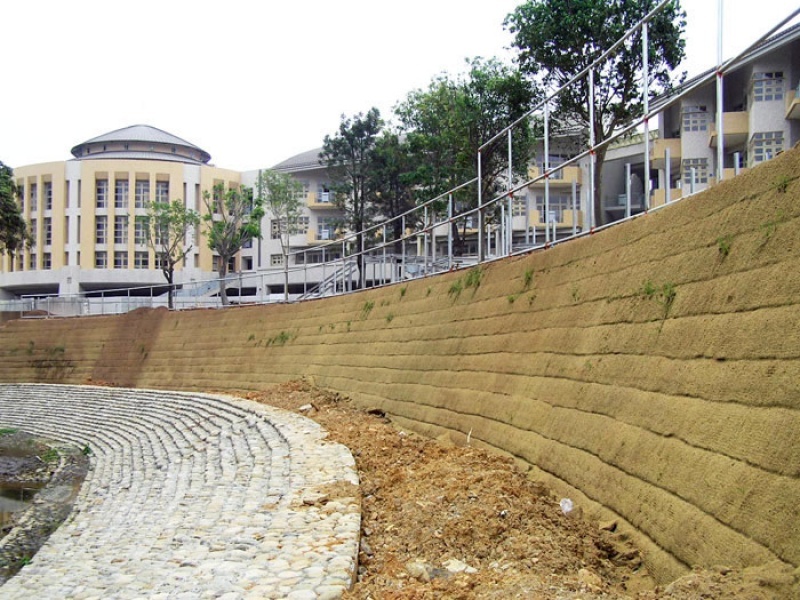 The existing boundary was to be raised to allow a concreted hardstand to be constructed above the retaining wall maintaining as much usable area as possible on the hardstand area.